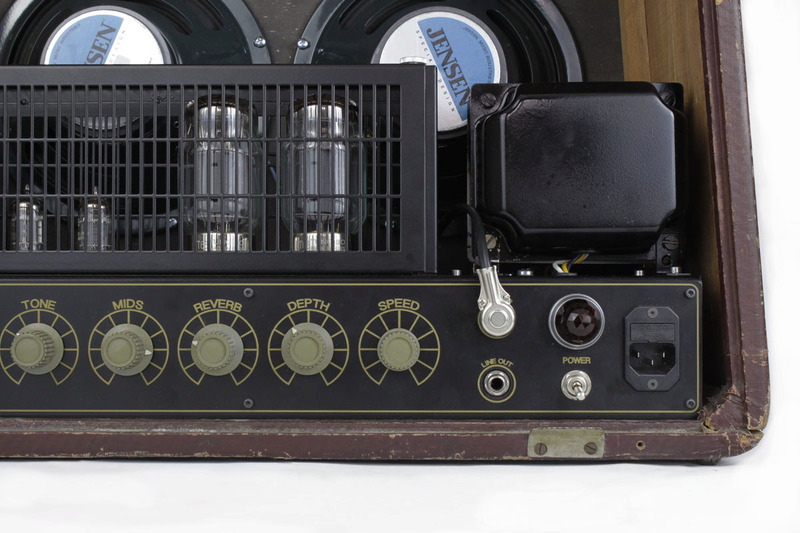 Coming directly from the ashes of an old Elektro-Artist DDR-era amplifier, this guitar amp is an unusual combination of new and old. 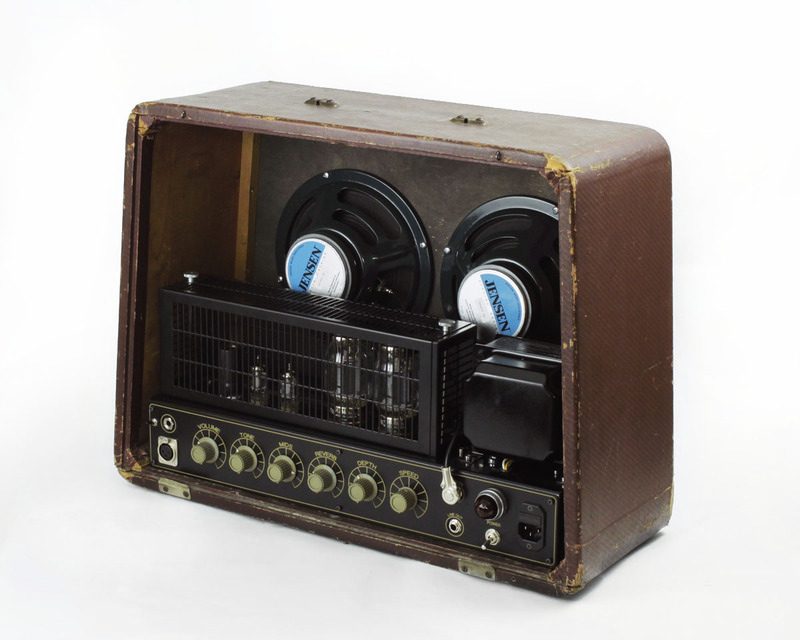 Aaron and I had talked about building an amp for him for quite a long time. 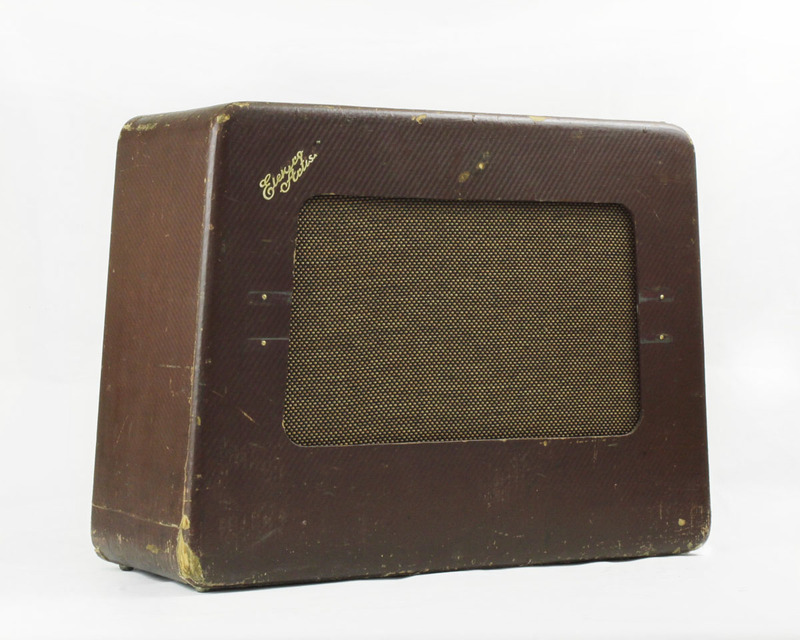 He wanted something that would be clean but not brittle, as well as including reverb and tremolo. 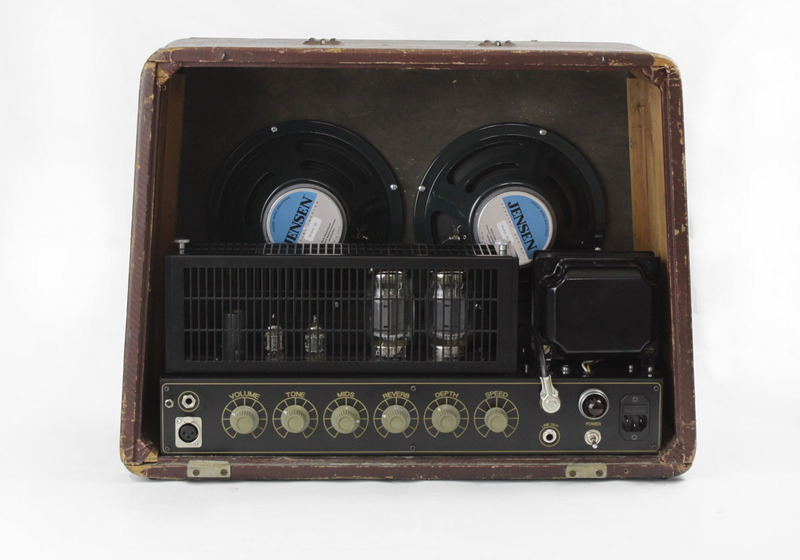 As it is primarily meant for a jazzy “Jim Hall” type of sound, I thought a pair of cathode biased KT88 output tubes would suit well. These offer a good amount of bass and tend towards a nice full, warm sound. 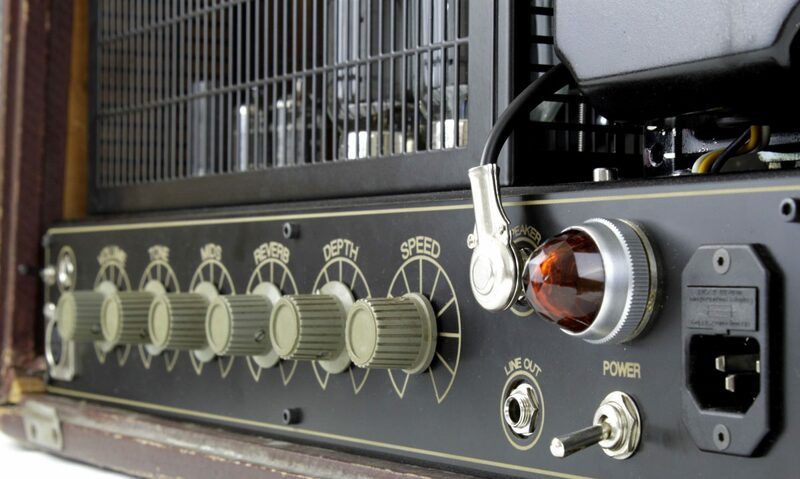 With the Mids control however, one can dial in just the right amount of overdrive if needed. Also included is a line-out function that is a separate tap from the output transformer– this can be useful for recording direct.